Are you or any of your loved one involved in the unfortunate incident of a truck accident? While you go receiving treatment, you can also receive payment if you make accident claims and let an accident attorney treat the case. You cannot do this with just any attorney but with a top-class attorney. 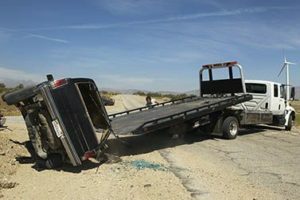 Are you in Santa Monica, CA and unsure of where to get a top-class truck accident attorney in Santa Monica? Let us at Rawa Law Group be your legal counsel. We are a superior law firm that has rendered top-class legal services to individuals all over the state. With our top-class accident attorneys, accident cases are treated with ease and care. Our lawyers are dedicated and cooperative and ensure that every one of our clients has the needed legal representation to maximize their accident claims and receive payment. We have more than 50 years of combined experience in this field and we have made recoveries for our clients, recoveries running into several hundreds of millions. At Rawa Law Group, we have strong advocacy for accident victims and our lawyers are tenacious in that resolve. We ensure you are kept in the light as per your case, making hospital or home visitations and offering very flexible appointment hours. You also have a chance to be given legal advice at no concealed charges. One beautiful thing is that our clients do not have to pay us to get our services. We offer free case evaluation and only require payment when we have finally won your case.